A professional sleep study is considered the “Gold Standard” to accurately diagnose sleep disorders and sleep problems. A sleep study, or polysomnogram, is a recording of your sleep behavior that includes various measurements that identify and diagnose sleep disorders. Once the study is complete, a sleep specialist and a sleep physician will review and interpret the record to understand the specific sleep patterns and sleep problems. Should you have a sleep study? Do you have a problem getting to sleep or staying asleep? Has a spouse told you that you have pauses in breathing or that you gasp when you sleep? Do you experience tingling, creeping, or aching feelings in your legs? Does sleepiness last longer than two to three weeks? If you answered yes to any of these questions, then a sleep study should be considered. 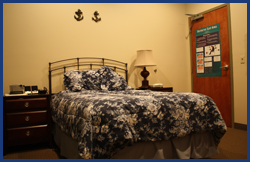 A to Z Sleep specialize in studies, whether at our locations or a home sleep study. Contact us today at (386) 423-0505 extension 1234 or email us goodnight@atozsleep.com for complete information on sleep disorders or a sleep study at one of our four sleep lab locations in Central Florida.